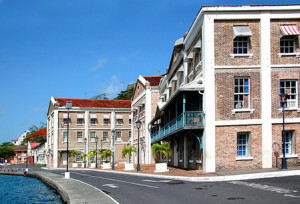 The Ministry of Finance and Energy wishes to advise the general public that Section 56(1) of the Public Finance Management Act authorises, by resolution of the House of Representatives, the Minister of Finance to borrow on behalf of the Government of Grenada in any form and from any legitimate source, whether domestic or external and for any fiscal purpose, on terms and conditions to be agreed with any creditor, an amount not exceeding in the aggregate the sum specified in the resolution. This is a legal requirement that must accompany, and has accompanied every annual National Budget, under all governments, should there be a need to borrow at any time during the year. Therefore, the 2018 Budget Loan Authorisation Act is the legal authority for the fiscal year 2018 that allows the Minister of Finance to borrow up to US$ 100,000,000 from various legitimate creditors to finance capital programmes and projects to advance the socioeconomic development of the country. The schedule of the act further states that “all agreements signed pursuant to this Loan Authorisation Act will be tabled in parliament as soon as practicable”. As such, any borrowing undertaken under the authority of the act must be tabled before Parliament. The ministry wishes to make it clear that the amount specified in the Loan Authorisation Act 2018 is a ceiling. Accordingly, the total of all the borrowings from the various legitimate creditors that may be undertaken by the government throughout the fiscal year 2018, can tally to less than the amount specified in the act. The act does not in itself constitute borrowing, but merely authorises the minister to borrow within the specified ceiling.